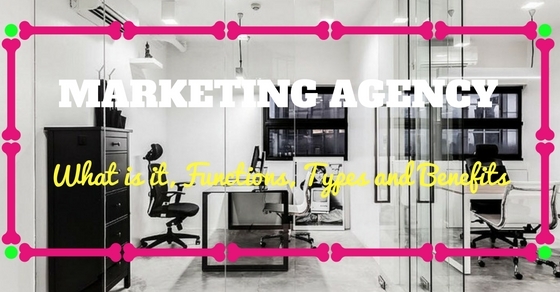 What is a Marketing Agency? What it Does? You think- Marketing agency is something that sounds so foreign these days. Do you know why we are so confused about the marketing agency terms? I will tell you why it is so. With time, several people (excluding the marketing agency) have started with the brand building programs. These programs or activities have become a side business for the small shop owners, students, etc. For a few odd dollars, they promise you a good work. Places from where you buy all your stationary for the office may offer you to build your brand through selling material with your brand logos. On the other hand, college students have decided on using stuff like taking videos and pictures of the company, to build the brand through social media, for a part time income. Reality – Marketing firm or a marketing agency is a specialized firm that helps in building your brand name in the most effective manner possible. A marketing agency has a specialized set of people who are efficiently trained in their work to give a profitable and worth result in a given time. Unlike the amateur set of people who propose to sell material with your logos, what does a marketing agency do is to provide counseling session with the client. This session include discussion on various promotional strategies and tools for a better launch of product in the market. Here in, the marketers’ discuss all the boons and banes of the technique that they will be using or are advising to use, with the client. They are expert in their field and thus the client pays for something that is worth the investment. Marketing agency has innumerable functions to perform. These functions includes web designing, social media marketing, web videos., television advertisement, consultation for business, branding, public relations, campaign development, hoardings, mails and or newsletters, ads and pamphlets, etc. The functions of the marketing agencies do not limit to these. Thus, it is a full service i.e. all-rounder development of the products or the brand. People offering any lesser than the above list are far from being a marketing agency. Marketing agents have all sort of contacts with the printers, newspapers, radio stations, TV networks, etc. Getting things done one by one from different people is too much of hassle. Instead, marketing agency is one place where you get everything at once in a single package (effective too). Some marketing agencies may include entire functions while the others specialize in solely one main function. Advertising agencies are the creative set of people. Their functions are to create a perfect advertising plan and develop it into a successful campaign through print media like magazines, newspapers, hoardings, etc. They also include radio and television in the plan. In short, these creative people can be of great use in reaching out wide audience. Brand agencies are the ones that help in the initial stage of firm building. When an entrepreneur decides to start a new business, he or she has no readymade company name, logo, etc. The brand agency is the best one in such a case. They conduct an appropriate market research to get the hang of the market and its demand. Then they plan and strategize about the company name, logo, visual identity, etc. with the help of print and design people . One brilliant example of a creative logo is arrow in the FedEx brand’s logo. Graphic and design agencies, as the name suggests, plays an important role converting content into visualized image. Visualization is the core function of this agency. However, its function is not restricted in the boundary of logo designing. They also produce artistic designs for advertising or packaging the product. Digital or virtual marketing may give a relating hint of social media. However, you did get it wrong this time. Digital or virtual marketing is an agency that focuses on creating a web of potential customers through the official company website. They have their own strategies to implement or execute the plan. However, the sole goal is to attract more and more customers on the website of the company. Email and newsletter is another form of marketing provided by the digital marketing agencies. Market agency shares its feature with the brand agency but they are actually two different category. The brand agency focuses on building place for a new firm whereas the market research is carried out to analyze the market and the demand. This does not apply to the newly created firms as they have barely made into the market yet. This research can be made through street questionnaire or an online poll. Media agency is another agency that works in affiliation with another agency. This agency works with the advertising agencies in planning the perfect platform for the advertising. For example, place for the hoarding, magazine selection, newspaper, etc. This selection is based on the target audience and the reach through the strategic advertising. Have you seen those printed t-shirts and various other accessories with a brand name? However, those accessories have nothing to do with the brand. Well, that is print agency for you. The print agency checks out for good accessories and promote your brand through the printing work. In addition, the print agency is also responsible for ensuring the punctuality. It manages the three aspects i.e. the budget, print quality, and deadlines. PR i.e. the public relation agency not only maintains the good image of the company in the market but also look into matters like the promotion and feedback from the newspaper, magazine, television, or radio, whatever version you had planned. Our generation is greatly divided on the social networking sites. You name the site and maximum of the youth population will be on the site. For example, social sites like LinkedIn, Facebook, Twitter, YouTube, Tumblr, etc. These sites make it easier to reach a good amount of target audience. Therefore, the social media agency found a solution. This agency helps you in building your brand widely over social media. Web designing agencies are responsible for building an attractive official websites and develop it well with theme, uptime, readability, etc. Web designing agencies work in affiliation with digital or virtual agencies as well as social media marketing. However, some organization do not have separate affiliating agency, instead everything is provided under the same agency. How would you choose a perfect package for yourself? Choosing something while considering the need is important. Hence, you have Marketing Consultants. These consultants have a wide knowledge of all the agencies and their offer. They understand the consumer’s need well. A marketing consultant is like the main unit that runs everything. He or she, based on consumer need, makes the strategies and focus on the correct set of agencies to work together. Why did I say correct set of agencies? Well, firstly these agencies work on the budget you give. Therefore, they do not extend into doing unnecessary work. For example, if your company is not much older than 2 months, then the marketing consultant would make strategies that helps in building the brand in early stage via marketing agency. Hiring people for some advice and getting work done by others is so much of trouble. You are a businessperson; however, these marketing strategies by various people have ruined you thoroughly. Instead, why not hire the experts. Marketing agencies are filled with experts. They will provide you the best according to your need. Let us look at the benefits you get by outsourcing a marketing agency. Marketing systems provide you with wonderful strategies, previous experience, advanced technology, etc. In addition, you can also intervene within the process, give your input, explain your personal view and check on how effective the strategies are working. A skilled marketing person can make great changes into the company revenue. Whereas, when you deal with marketing personnel with lack of skills, he can affect the growth of your company adversely. With new technology at hands, marketers need to master the new advanced skills to keep up with the market. An agency is responsible to give you all the aspects (up-to-date skilled marketers) within one dome. Agencies try to provide you with your requirement, within budget and with latest economic (market) knowledge. Executives have always opted for strategies that are profitable for the company on a whole. The result of any investment depends on the market value and partly the luck. However, profit is always one of the aims. In marketing, when you hire someone to some kind of job, it costs you a good amount. However, if the hired marketer is unable to do his work profitably, then your valuable investment is at loss. When you hire a marketing agency, they not only assure a positive outcome but also provide you with contacts that can save your money on outsource purchasing. Marketing agency is one package with various skilled talents and access to a cross functional team. For example, if your consultant from the agency is stuck somewhere, he or she receives a multi-diverse guidance from the entire skilled and qualified team.as a result, they hardly ever take a wrong decision. Marketing departments generally face problems when it comes to technology. Not everyone can afford having a huge range of latest technology. For companies with huge capital, it is possible to lay hand on technology of their choice. However, they have no idea as to which is the suitable and required investment. At the same time, small-scale companies find it hard to invest into this technology at all. The work of marketing tools and technology is to increase and boost the efficiency, performance and productivity of the strategy. When you hire a marketing agency, you are not only given access to the latest technology but also given accurate analytical reports. The entire work is done by professional and qualified people. Thus, it is a win-win situation. In-house marketers are always an option for people who want to save some money by slumping down extra work on the staff. Do you realize the trouble, hassle and discomfort your staff would feel on this sudden extra work? These burdens will not only make them tired and exhausted but reduce the regular productivity of your company on a longer run. In addition; your marketing strategies may fail or be less effective. Moreover, there is always this possibility of your staff resigning from the company due to extra workload. They are assets of the company, who know the insights of its working and strategies. Hence, when they leave they take a certain amount of knowledge about your assets along with them. Not your entire workforce possesses skills of the marketing industry. At one point, all of them lack at certain stage. Thus, when you choose in-housing marketer, you require a set of skillful employees. Therefore, you will have to train your employees to work according to the requirement of the marketer. However, if you directly opt to hire a professional and skilled marketing agency, you save money as well as time on training the entire workforce. Hence, marketing agency is after all beneficial than in-housing marketers. Learning is a continuous process. There is no end to learning until you die. An in-housing marketer handles everything on his own. As a result, he barely has time to go through the latest technological development or tools for marketing. Thus, there are more odds of them to be ineffective. However, the marketing agencies take education as there major asset. They believe in training and getting abreast with the latest trends of marketing. As businesspersons, your company is the best in your eyes. Similarly, your employees would not dare say anything wrong about the business. When you hire a marketing agency, they give you an outside perspective of the status of your business. The first step toward success is by identifying the current position and aiming for better. Thus, we can say that indeed marketing agencies are worth hiring for the business.